Students at one Vancouver Island school are taking immersive language learning a step further — and getting their hands dirty practising SENĆOŦEN, one of the Coast Salish group of languages. Grade 3 students from the ȽÁU,WELṈEW̱ Tribal school in Saanich are planting vegetables and learning about traditional foods in a workshop that is taught about 70 per cent in SENĆOŦEN. 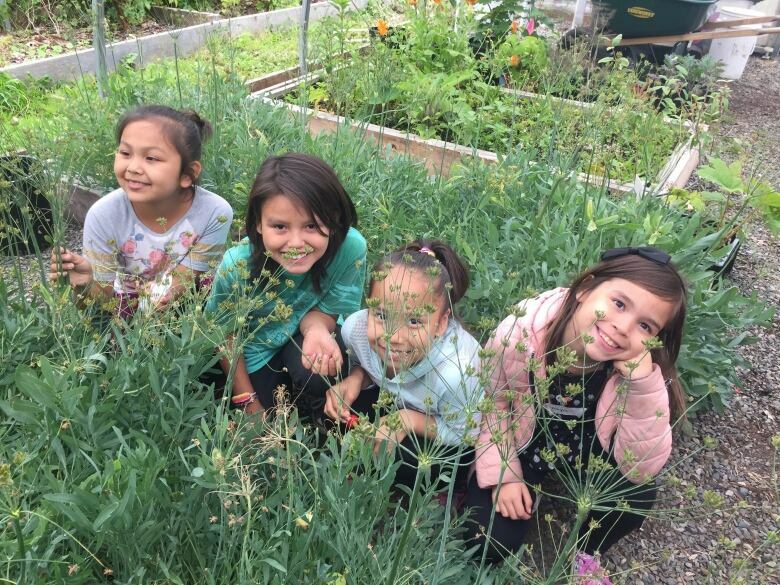 "I find it to be really important for the children to have exposure to SENĆOŦEN outside of the classroom," said Ashley Cooper, program director of the PEPÁḴEṈ HÁUTW̱ Native Plants & Garden Program. SENĆOŦEN is the language of the W̱SÁNEĆ First Nations on Vancouver Island's Saanich Peninsula. In the workshop, the students are digging up and replanting camas bulbs, a plant that can be cooked and eaten. "I wanted to get them to get their hands dirty and be working with traditional foods," Cooper said. Cooper, who went to a public school, said she wishes she had had the same kind of exposure to Indigenous educational programing and tribal schools as a child. "It's really empowering for these children to have access to that type of ancestral knowledge," she said. "They have a sense of pride from when they get to learn about these types of subjects, especially when it comes to land-based learning and language-based learning." Jorja Horne, one of the Grade 3 students, said she loves learning to grow plants. "There were beans on that fence [last year], and they were so colourful, and we got to take some home," she said. 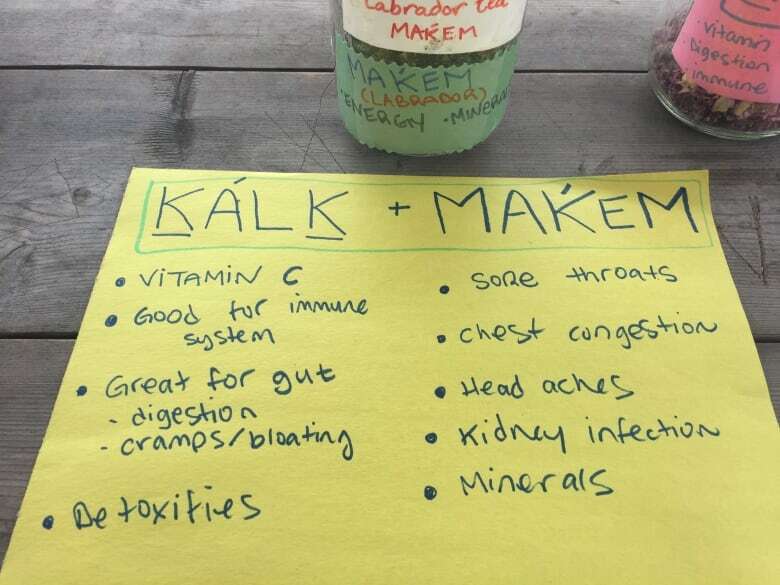 This year, the class has discovered a "raging passion for kale," according to Grade 3 class teacher Melanie Neilson. "A lot of the kids have discovered new vegetables," Neilson said. "They love any chance they get to get their hands dirty and especially going home with handfuls of vegetables and different herbs they can use." An elder of the Tsawout First Nation, Earl Claxton Jr., also spends time in the gardens, growing vegetables and native plants. "It really warms my heart how [the students] come in and are so eager to be here," he said. "I think all students in the whole province should have something like this — just to learn to do things in the ground , be in contact and in touch with nature."